Is the fragrance market the best arbiter of what is good? In the case of Nu, my answer is an emphatic no! 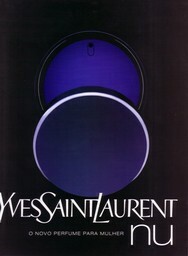 This Yves Saint Laurent fragrance created in 2001 by Jacques Cavallier under the creative direction of Tom Ford explores such dusky and moody territory that it could never have been a commercial success. Yet, for those of us who love to stray over to the dark side, Nu offers a fascinating experience—a combination of opulent incense notes, spicy carnation, creamy sandalwood and the fiery flourish of dark spices. Although the name and the imagery suggest a sensual, femme fatale fragrance, I find Nu polished and elegant, with just enough smoldering allure to keep things interesting. The initial toasted spice notes of Nu would have taken this rich composition of incense and woods straight into baroque and heavy territory if it were not for the green note reminiscent of pine sap. This bright, resinous jolt, underscored by the lemony bite of cardamom, gives Nu a beautiful lift. As the fragrance melds into the skin and begins to reveal its spicy floral heart, the green notes further serve to offset the heady richness of the composition. The floral notes, oscillating between carnation and jasmine, give Nu a rather vintage aura, even though the overall impression is modern and streamlined. In the drydown, Nu becomes all about musk, incense and sandalwood — dark and rich territory — but it still retains a radiant, vivid quality. The sensation of Nu is between that of plush velvet and cool satin—a beguiling and irresistible juxtaposition. A similar woody oriental idea with a vivid green note has since been explored in a variety of fragrances, from Alberta Ferretti by Alberta Ferretti to Bond No 9 Bleecker Street. Lancôme Magie Noire, Balmain Jolie Madame and Guerlain Vol de Nuit likewise occupy the same dark and smoldering realm as Nu, even if they place their accents differently. In the same vein, Serge Lutens Serge Noire and Van Cleef & Arpels Cologne Noire are my favorite fragrances that explore the pairing of incense and sandalwood. While Nu is marketed for women, its relative dryness would make it a great masculine fragrance. It is a fragrance I would not hesitate to call spectacular, notwithstanding its market failure. Yves Saint Laurent Nu Eau de Parfum includes notes of bergamot, cardamom, elemi, white orchid, wild orchid, black pepper, sandalwood, musks, incense and olibanum. There is also the Eau de Toilette, but it is more floral and less interesting. While it has been discontinued, it can be found easily at various online discounters. The only thing I dislike about Nu is the poorly designed bottle, which is clunky and difficult to use. Victoria: Nicola, thank you for delurking and for your kind words! As I was reading your story of Nu and Venice, it made me think that out of all places Nu would have captured for me, it probably would have been Venice or Sienna. I can definitely see Mystere de Rochas connection. sweetlife: Mmm. Now I remember why it took me so long to wear it properly. I don’t get along very well with the opening. There’s a note in there, maybe the resinous sap you refer to, that leans sweet and masculine on me. It reminds me of that overwhelming benzoin note in Obsession–maybe not exactly the same smell, but the same effect. Victoria: Thank you! 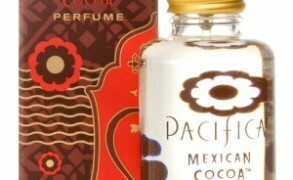 It is so easy to write about beautiful, original fragrances. They are inspiring. Victoria: I would guess that most of the blog readers (not just BdJ, all perfume blogs in general) are into these kinds of dark, spicy fragrances. One simply gets so bored with the onslaught of pink fruity compotes on the market. Aisha: I was going to reach for a gourmand again today, but decided to give this one a try just for fun. I have two small sample vials of it, so why not right? Oh my! I’ve been enjoying it all day! I spritzed some on right before I headed out to go shovel snow. The warmth of the spices were so cozy. I’m not sure why, but it smelled of cinnamon on me for most of the morning, and I don’t see it listed as a note. I didn’t pick up on the cardamom until just now, and it’s delicious. 🙂 I think you’re right that this would make a great fragrance for men. It’s not overly floral, not to my nose anyway. Oh! I’m not detecting incense in this. But of course, my idea of incense is something that smells like a cathedral.